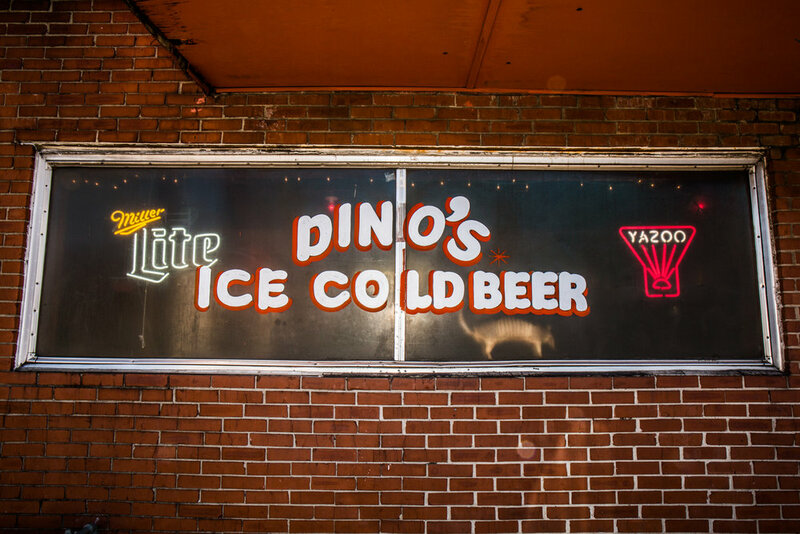 As East Nashville’s oldest dive bar, Dino’s stays true to its roots. 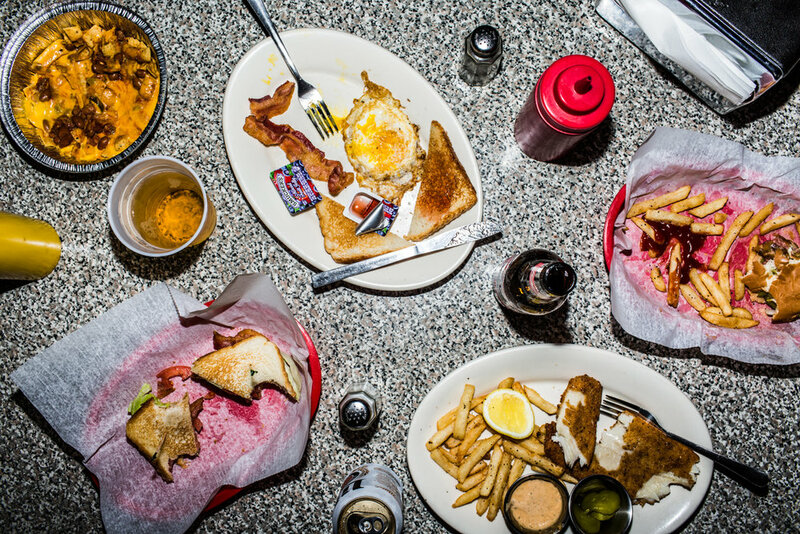 Serving classic burgers and fries, Dino’s is a neighborhood watering hole for locals and visitors alike. Dino’s specializes in fine food + cold beer. Dino’s is known across the country for the Dino’s cheeseburger. 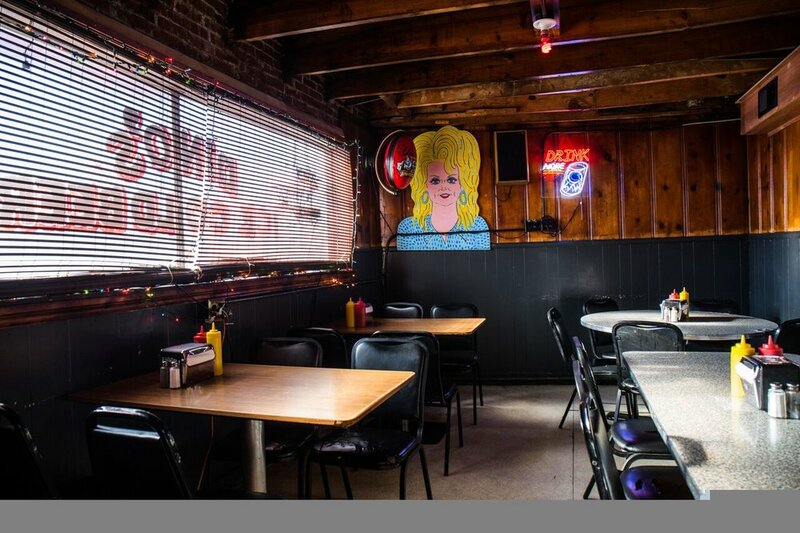 Dino’s was voted Top 3 Burgers in the country by Bon Appetit Magazine and visited by the one and only, Anthony Bourdain for his No Reservations show in 2016. Dino’s serves a special brunch menu on the weekends (Sat & Sun) starting at 12pm. Dino’s is family-friendly (before 8 PM) and caters to the late-night crowd, especially on the weekends. 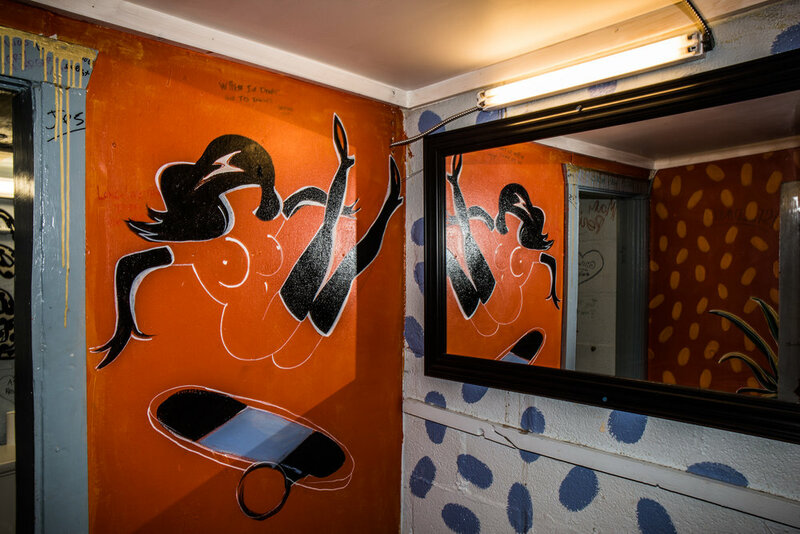 Open every day and night, we’re here for you until 3am. 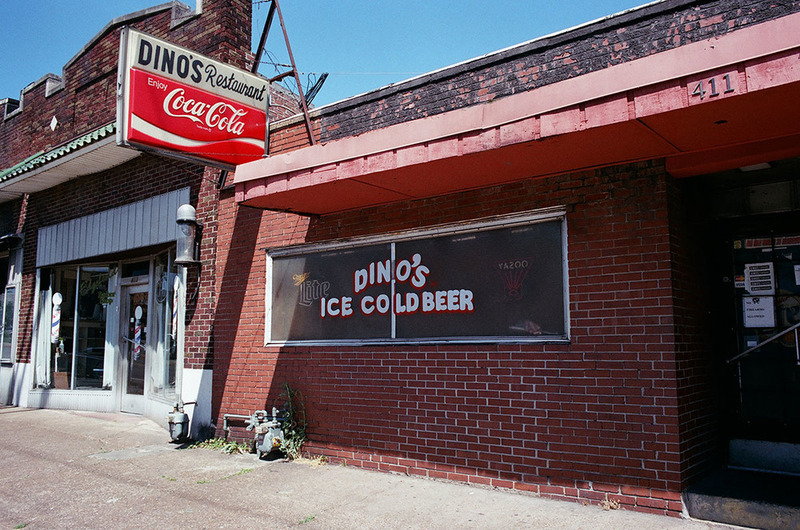 Dino’s is a classic and not one to miss on your next ride to East Nashville! Open Late Every Damn Day! Cheddar, lettuce, tomato, onion, pickle. Add ons: bacon, avocado, fried egg, animal style. Local beef from Porter Road Butcher, sharp cheddar, lettuce, tomato, onion, pickle. *Available starting Tuesdays until we run out! Cornmeal breaded and fried tilapia with pickles & tartar sauce on toasted white bread. Fried or grilled with lettuce, tomato, pickles & house honey mustard. 2 slices of toasted white bread, bacon, egg, cheese, special sauce. You know. Add ons: more bacon, fried egg, avocado. Local steak topped with grilled peppers and onions, provolone cheese on a local Bobby John hoagie. *Available starting Tuesdays until we run out! 2 eggs your way, toast and bacon. Add ons: onions, tomatoes, salsa, sour cream, bacon, avocado +. 1 slice of white bread with pickles and side of tartar. Medium or hot house hot oil. Fritos + chili + Velveeta. Literally. Egg, white bread, jam on the side. Cornmeal breaded and fried tilapia with fries, lemon slice & tartar sauce. 2 corn tortillas, 2 fried eggs, black beans, ancho salsa, queso fresco, cilantro, lime. Add ons: chorizo, avocado. Cheesy eggs, salsa, sour cream, avocado, your choice of bacon or chorizo. Beef patty with cheddar, bacon, egg, special sauce and grilled onions, served with 2 hashbrown cakes. 2 strips of medium hot chicken on top of french toast drizzled with hot honey maple syrup. Tomato juice, lime, worcestershire, old bay, hot sauce.